One might think the line of a dozen or so youths marching single file were on a school trip, if it weren’t for the U.S. Border Patrol trucks flanking them. Their destination — an outdoor holding facility under a bridge — was less than 100 metres away. Journalists aren’t allowed any farther. Not anymore. Last week, the media was allowed to photograph the migrants, held behind fences and razor wire under the bridge that leads from Ciudad Juarez, Mexico, to El Paso, Tex. But on Saturday it was blocked from view by police and border agents guarding the area. 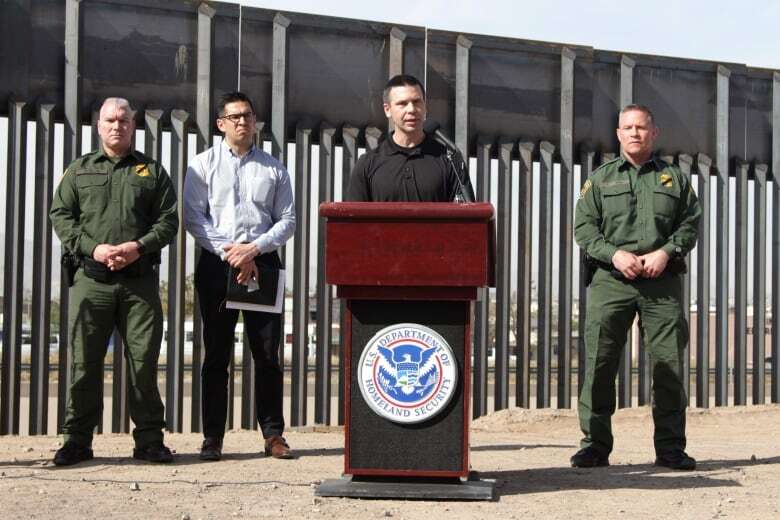 The scene was the backdrop of a press conference Wednesday by Kevin McAleenan, the commissioner of U.S. Customs and Border Protection. “CBP is facing an unprecedented crisis all along our southwest border. And nowhere has that crisis manifested itself more acutely than in El Paso,” he announced. Border Patrol agents, he said, are apprehending about 570 migrants a day in the El Paso, up from about 100 a day in the span of five months. This, McAleenan said, reflects a national surge this spring that will see the highest number of apprehensions in more than a decade. On Monday, Department of Homeland Security Secretary Kirstjen Nielsen said the Trump administration will speed up the deployment of hundreds of officers on the southern border of the U.S. and will expand a policy of returning migrants seeking asylum to Mexico. The U.S. Customs and Border Protection agency first announced the redeployment of 750 officers to process a surge of migrant families entering the United States last week. The agency will also “immediately expand” a policy to return Central American migrants to Mexico as they wait for their asylum claims to be heard by “hundreds of additional migrants per day above current rates,” Nielsen said in a statement. In El Paso, the influx has meant facilities used to process the migrants were overwhelmed, which is why many were being housed outside in military tents under the bridge for a day or two before most were released. It was a temporary measure, McAleenan said, until a new $192 million US facility is built. There seem to be two realities in El Paso. 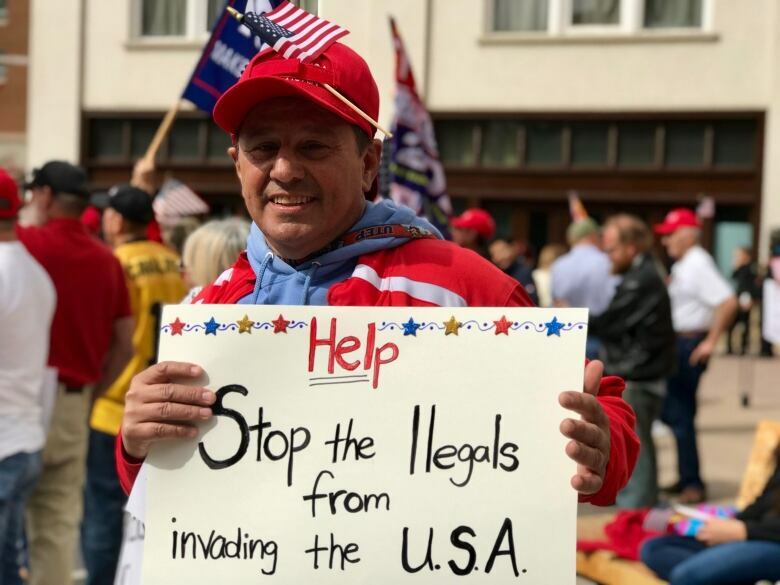 It’s either a crime-plagued city overrun by illegal immigrants, or the safest city in the U.S. with a crisis manufactured by the very people declaring it so. Which reality you live in depends on which political party you support. 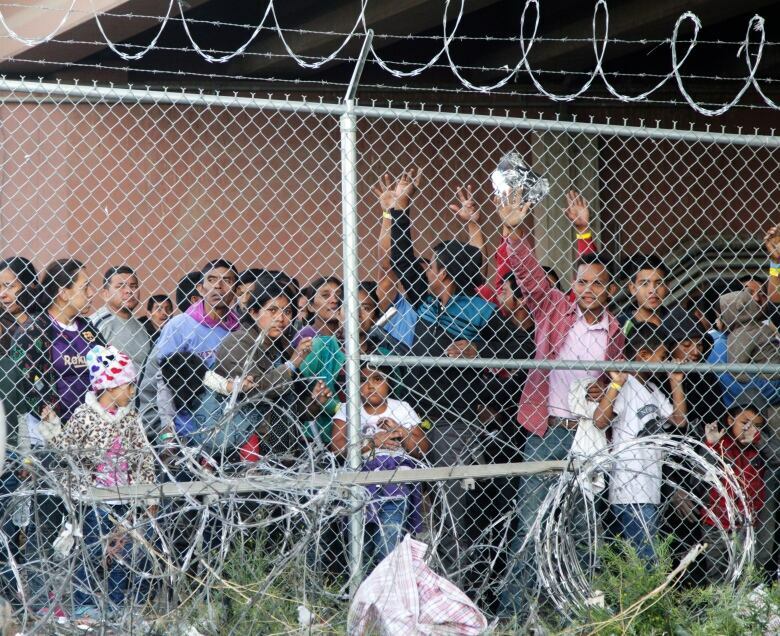 Some activists like Fernando Garcia, executive director of the Border Network for Human Rights, say the influx of migrants coming across the Mexico-U.S. border was no excuse for keeping them in what looked like a concentration camp. “It is very appalling, the fact that they are using those images to present the situation of a crisis,” Garcia said, standing within view of the facility under the bridge. On Saturday, a few blocks from the bridge, Democrat Beto O’Rourke launched his presidential campaign from his hometown. If he wants to win his party’s nomination — and perhaps an election against U.S. President Donald Trump — a battle over immigration might well be fought on his home turf. “Every single one of us, including those who are just three or four blocks from here, detained under the International Bridge that connects us with Mexico behind chain-linked fence and barbed wire, that they are our fellow human beings and deserved to be treated like our fellow human beings,” O’Rourke said. 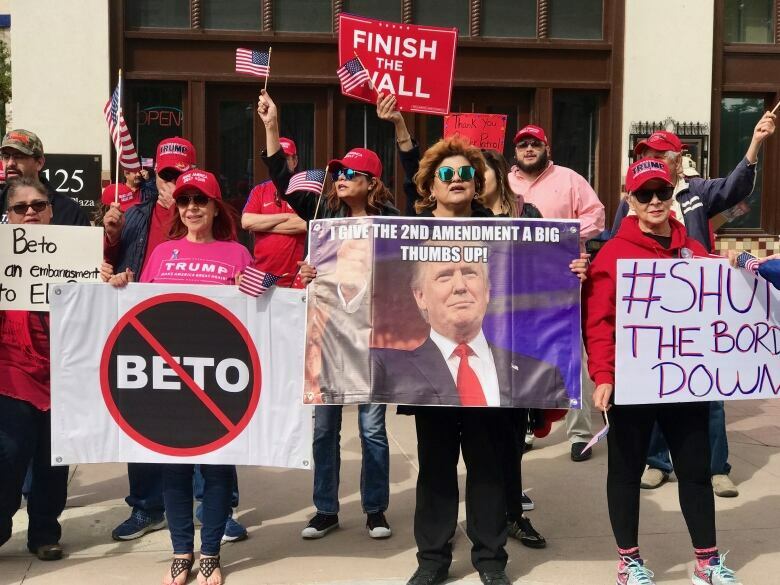 Well within booing distance of O’Rourke, dozens of Trump supporters held their own rally. Many in the crowd, including Gabriel Arias, heard that migrants under the bridge faced adverse conditions. But they had little sympathy. Bob Peña, executive director of El Paso’s Republican Party, disputes any suggestion that the problems at the border were being exaggerated for political gain. About 50 metres from the bridge, a handful of people congregated Saturday morning to protest the migrants’ conditions. The police easily outnumbered the protesters. 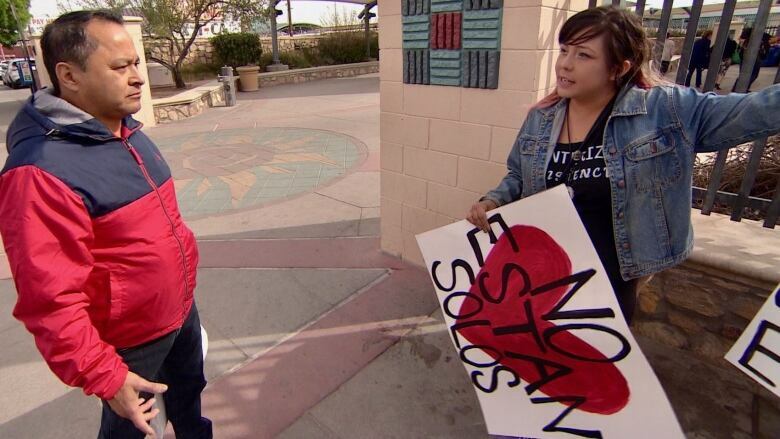 A Hispanic man on his way to cross the border over the bridge asked the protesters to show him their placard. “We need law order, right?” the man said to the protesters. It’s more of a statement than a question. “Is that law and order having people in tents under bridges?” retorted Velez. “There are billions of people around the world … We need law and order,” the man repeated. “We need law!” the man shouted. Then, sometime on Sunday, the outdoor holding facility under the bridge was abruptly shut down. The crisis seemingly ended as quickly as it began. Border Patrol say the migrants were moved to other facilities. The only remaining sign of their presence: a few Mylar blankets they slept on, flapping on the razor wire like shiny flags.